In 1905, two young Ulstermen Denis McCullough and Bulmer Hobson founded the first Dungannon Club in Belfast to revive republican feeling. 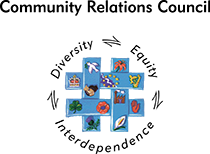 The clubs aimed to educate young people about the benefits of Irish independence. In the same year, Arthur Griffith, journalist and advocate of an independent Ireland established Sinn Féin (ourselves), a movement that promoted national economic, political and cultural self-reliance. Sinn Féin was an umbrella organisation for Nationalist groups that did not support Home Rule. 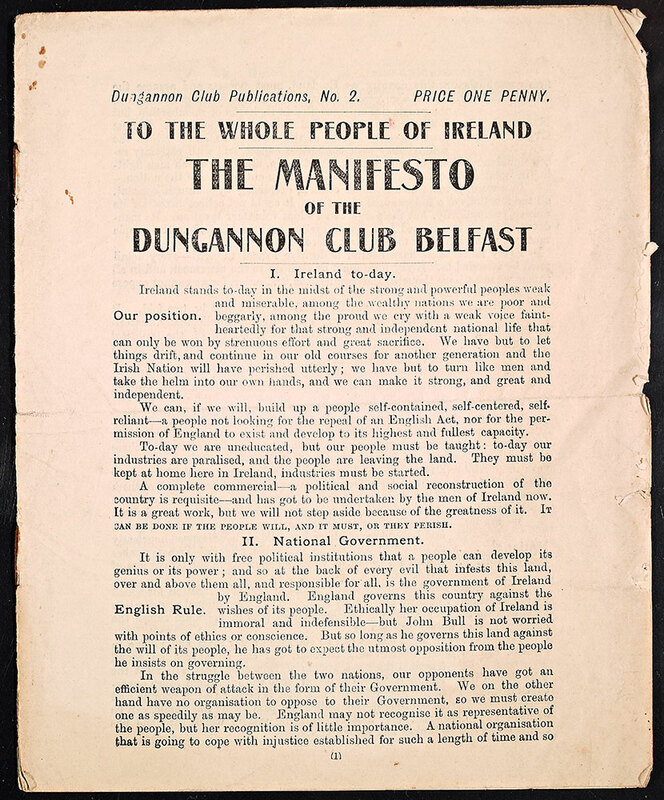 In 1907, the Dungannon Clubs joined with Cumann na Gaedheal, a cultural and education association founded by Griffith to form the Sinn Féin League. 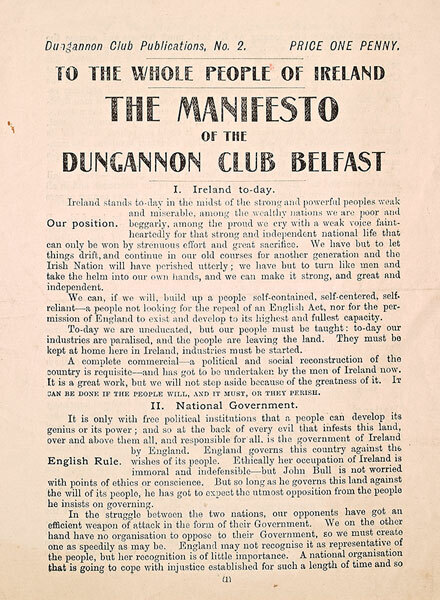 Printed Manifesto of the Dungannon Club, Belfast.